In the early 1950s, H.B.D. 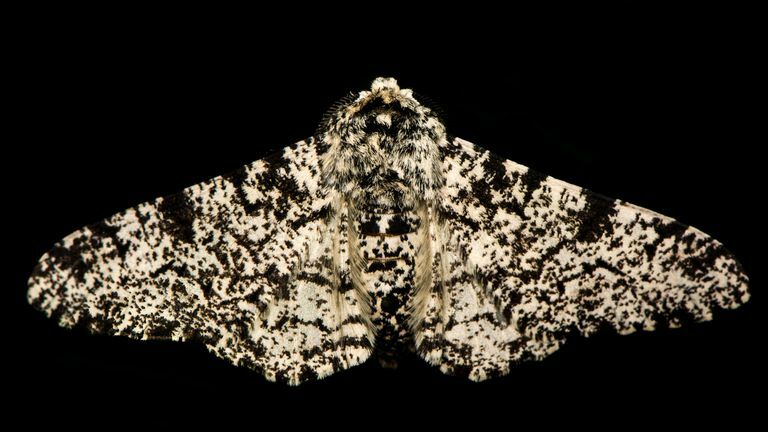 Kettlewell, an English physician with an interest in butterfly and moth collecting, decided to study the unexplained color variations of the peppered moth. Kettlewell wanted to understand a trend that had been noted by scientists and naturalists since the early nineteenth century. This trend, observed in the industrialized areas of Britain, revealed a peppered moth population—once primarily made up of light, gray-colored individuals—that now consisted primarily of dark gray individuals. H.B.D. Kettlewell was intrigued: why had this color variation taken place in the moth population? Why were dark gray moths more common only in industrial areas while light gray moths were still predominant in rural areas? What do these observations mean? Why Did This Color Variation Occur? To answer this first question, Kettlewell set about designing several experiments. He hypothesized that something in Britain's industrial regions had enabled the dark gray moths to be more successful than the light gray individuals. Through his investigations, Kettlewell established that dark gray moths had greater fitness (meaning they produced, on average, more surviving offspring) in the industrial areas than light gray moths (who, on average, produced fewer surviving offspring). H.B.D. Kettlewell's experiments revealed that by better blending into their habitat, the dark gray moths were more able to avoid predation by birds. The light gray moths, on the other hand, were easier for birds to see and capture. Once H.B.D. Kettlewell had completed his experiments, the question remained: what was it that had changed the moth's habitat in industrial regions that enabled the darker-colored individuals to blend into their surroundings better? To answer this question, we can look back into Britain's history. In the early 1700s, the city of London—with its well-developed property rights, patent laws, and stable government—became the birthplace of the Industrial Revolution. Advancements in iron production, steam engine manufacturing, and textile production catalyzed many social and economic changes that reached far beyond London's city limits. These changes altered the nature of what had been predominantly an agricultural workforce. Great Britain's plentiful coal supplies provided the energy resources needed to fuel the fast-growing metalworking, glass, ceramics, and brewing industries. Because coal is not a clean energy source, its burning released vast quantities of soot into London's air. The soot settled as a black film on buildings, homes, and even trees. In the midst of London's newly industrialized environment, the peppered moth found itself in a difficult struggle to survive. Soot coated and blackened the trunks of trees throughout the city, killing lichen that grew on the bark and turning tree trunks from a light gray-flecked pattern to a dull, black film. The light gray, pepper-patterned moths that once blended into the lichen-covered bark, now stood out as easy targets for birds and other hungry predators. The theory of natural selection suggests a mechanism for evolution and gives us a way to explain the variations we see in living organisms and the changes evident in the fossil record. Natural selection processes can act on a population either to reduce genetic diversity or increase it. The types of natural selection (also known as selection strategies) that reduce genetic diversity include: stabilizing selection and directional selection. 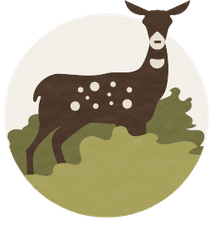 The selection strategies that increase genetic diversity include diversifying selection, frequency-dependent selection, and balancing selection. The peppered moth case study described above is an example of directional selection: the frequency of color varieties changes dramatically in one direction or another (lighter or darker) in response to the predominating habitat conditions. What Is Stabilizing Selection in Evolution?